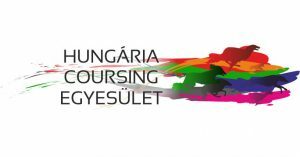 Hungária Coursing Egyesületet (HuCE) was registered by the Fővárosi Bíróság (Court of Budapest) in 14th July 2017. Magyar Ebtenyésztők Országos Egyesületeinek Szövetsége (MEOESz – Hungarian Kennel Club) accepted HuCE as a member in 26th September 2017, that means FCI and MEOESz events can be held. Also, our members has the advantages that MEOESz membership carries. HuCE was established by 11 vocational and experienced coursing competitors who has already competed all around Europe with their sighthounds. Our aims are crystal clear in our Constitution (can be found in “Downloads” menu item). Yet we would like to highlight our main keystones: professional, clear-cut and correct operation along with the up-to-date, valid and open communication. Warm welcome to our events to those who has identical aims.